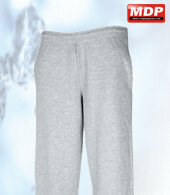 Fruit Of The Loom jog pants with elasticated waist and hem. 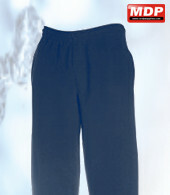 Pants have self-coloured draw cordand side pockets. Produced using Belcoro® yarn for a softer feel and cleaner printing process.80% cotton Belcoro® yarn, 20% polyester. 280gm. Pack pricing for Jog Pantss is for 6 garments in the same colour and size.